Watching paint dry is boring. In fact, I find buying paint almost as boring. Actually, I’d really rather not visit any kind of homeware store of any kind. Let alone with the children. So what on earth gave us reason to visit Bunnings Warehouse (a homeware store) in Milton Keynes? Well I’d heard they’d got a good indoor play area. Of course we had to visit. You can see a short video of it below – it’s only ten seconds, have a look at that and then scroll down for more information. What is Bunnings Warehouse play area like? Bunnings used to be Homebase. It’s a big shop which sells home improvement stuff like tools, paint, flooring etc. It’s not a place that I’d choose to visit with young children generally. And yet, very cleverly, they have incorporated an indoor play area and a café so we were lured in having seen pictures of it. The play area is located at the far left of the store and is a relatively good size as you can see in the pictures. I have no idea what the rest of the shop is like as we completely bypassed it simply to look at the play area.They say it’s suitable for 4-12 year olds. I’d have to agree with the lower age limit, my eldest son – four at the time of writing – enjoyed playing. 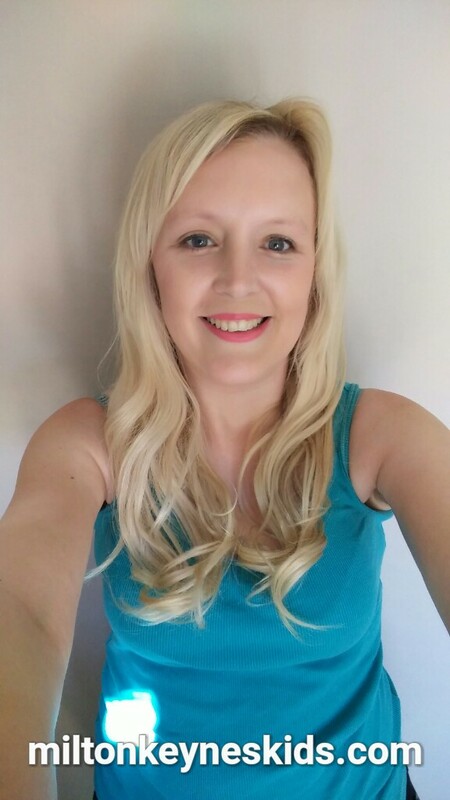 My youngest son – aged two – was too young. Also, it’s worth bearing in mind that because the slides are enclosed then younger children may find them too dark. It’s next to a small café and is unsupervised. They say it has a child-safe lock and yet with children going in and out then it’s important to be watching them all the time. 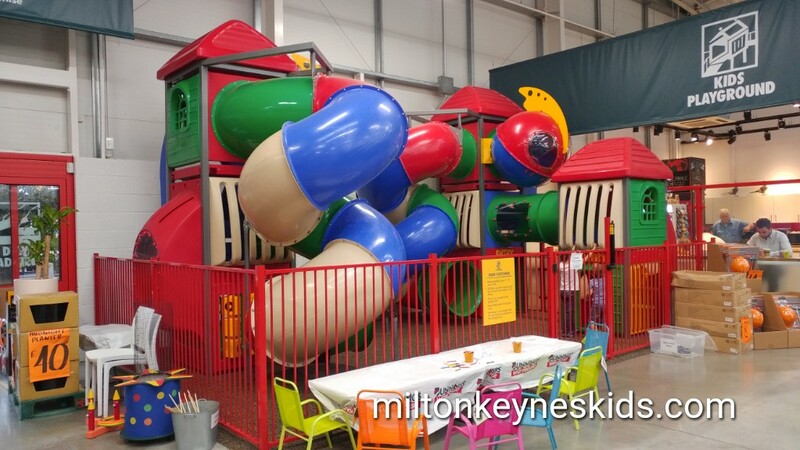 I’d say if you want to meet up with a friend for a quick cup of coffee and a chat indoors, but don’t want to go to a big soft play, then it’s an option as it’s free and fairly central to Milton Keynes. It’s not somewhere you could spend a huge amount of time and when we visited there was very little seating directly in front of the play area. If for some reason it’s busy, then you could find yourself standing up in order to see young children as the café is to the side of the play area. If of course you do need to make a trip to a store like this, and you have two adults, then one could easily do the shopping whilst the other watches the children. We were impressed at how family friendly the store’s approach is. My husband has visited on another occasion with the children where they put on activities and refreshments, so it’s worth keeping an eye out to see if they do those again. Where is Bunnings Warehouse and what else can do we do locally? The address is Snowdon Drive, Winterhill, Milton Keynes, MK6 1AP. When we visited it was open early in the morning (7am) until late at night – apart from on a Sunday when Sunday trading hours (10am – 4pm) apply. Don’t forget to check up to date opening hours if you visit. 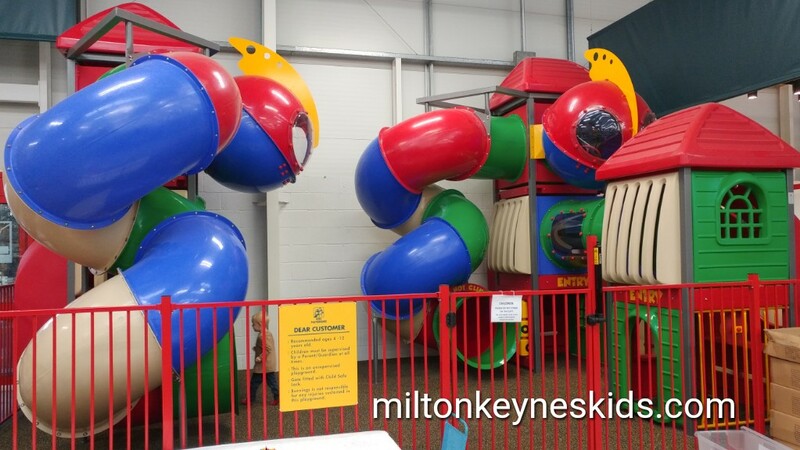 If you want to visit somewhere else locally have a look at the Milton Keynes Kids map to plan your day out.